Sturdy steel rack accommodates many types of materials such as job tickets and time cards. Use for a single or multiple installations. Use slotted cutouts on the back for wall mounting. Pockets and frames are interlocked with pocket dividers that permanently positioned. 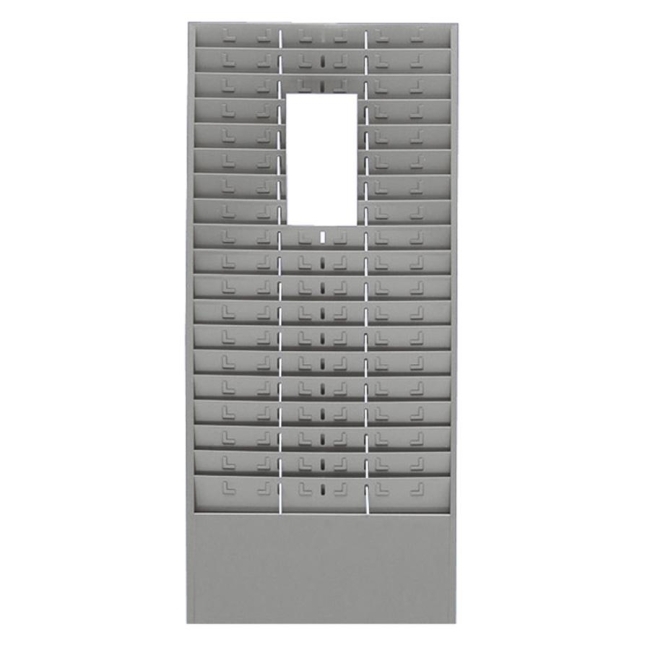 Use rack in full-width or divided into smaller pockets by inserting included divider rods. Steel rack is made of a minimum of 51 percent post-consumer recycled material.